The aluminum tread plate is the important product series of the Haomei Industrial Co., Ltd., arranging from one series to eight series, and today, we will introduce you one of it-the 3000 diamond aluminum tread plate. The thickness of the 3000 diamond aluminum tread plate is 0.8-6.35 mm, the width is 800-1600 mm, and the length is 800-8000 mm, the 3000 aluminum tread plate is made from the 3003 or the 3004 aluminum, it is widely used in the floor of automobile, airplane, light rail, vehicle step, elevators, and other fields, this series have different thickness, which can be designed according to the requirement of the clients. The 3000 diamond aluminum tread plate has been sent to many countries all over the world, which gains a worldwide appraises, many of the clients develops a long term cooperation relationship with us. Haomei Industrial Co., Ltd has been engaged in the aluminum tread plate manufacturing for more than 30 years, which is the professional aluminum sheet supplier in China. 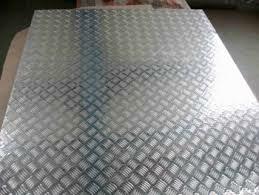 Apart from the 3000 diamond aluminum tread plate, it also manufacture the aluminum plate, aluminum sheet, aluminum coil, aluminum foil and slug, etc.. So, if you have any demand for the aluminum product, please contact us, and we will give you the best recommend!